Do you ever wonder how to cluster embellies on your layout? How many are just the right quantity and size and color? Maybe you are even thinking... "What is clustering?" to draw the eye in to a focal point. and tips on how to make the perfect clusters! 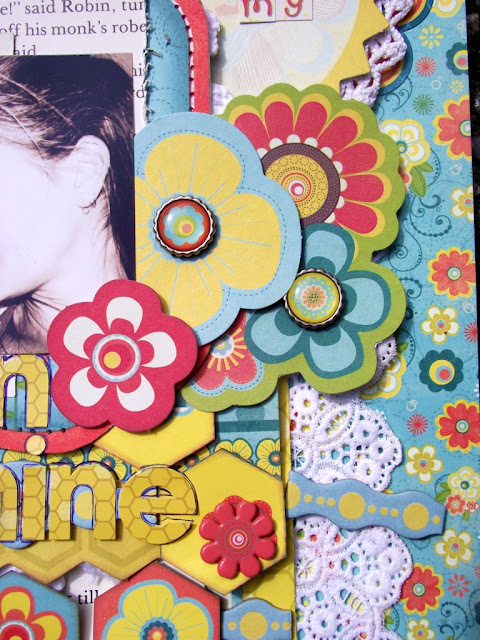 Debbie said: "One of my favorite techniques is to cluster my embellishments. 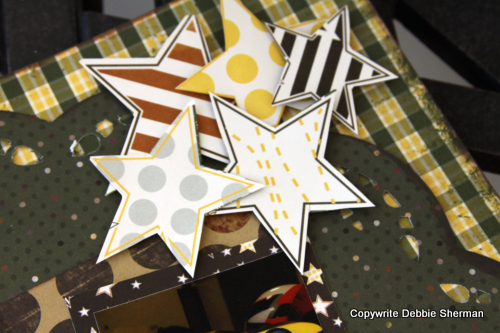 In this case I cut out 5 stars from the Falling Stars patterned paper and overlapped them on top of one another. I popped them up with foam squares which made clustering them on top of each other much easier." TIP: In design, odd #'s are more interesting to the eye than even numbers. Use 3 and 5 as your go to #'s in design and you'll be surprised at the difference it can make. 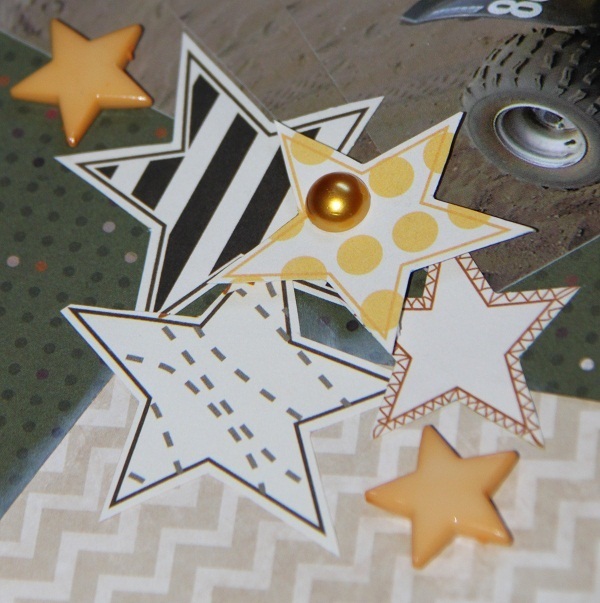 TIP : When adding a cluster to your page use foam dots on the some of your items. This makes them easier to cluster together and adds more dimension to your cluster. 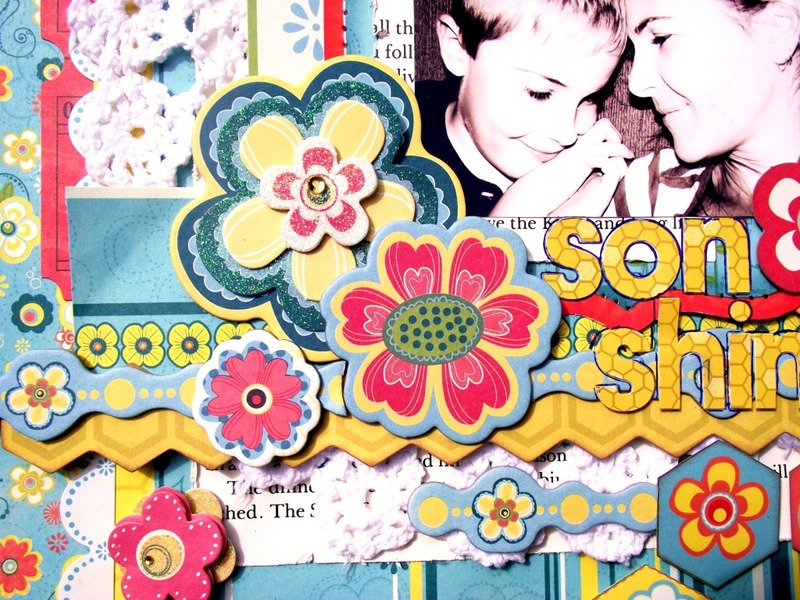 TIP: Stacking and layering are so important when making clusters. You want to make sure you have a variety of colors, textures & heights. 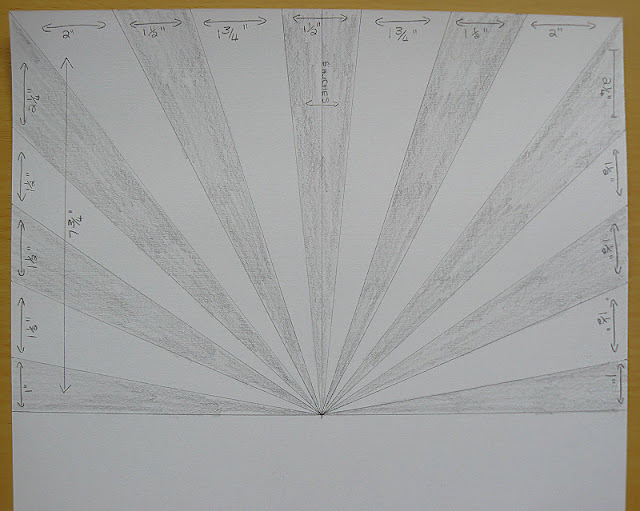 Carin said: "I also did a diagram to show measurements for how I cut my sun rays, it will even give you two sets of rays! 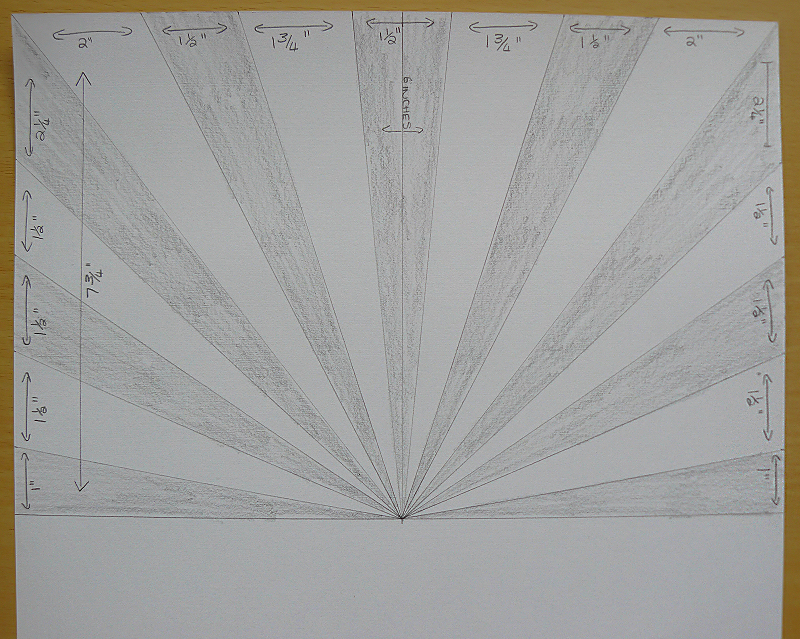 The shaded areas are the ones I used." 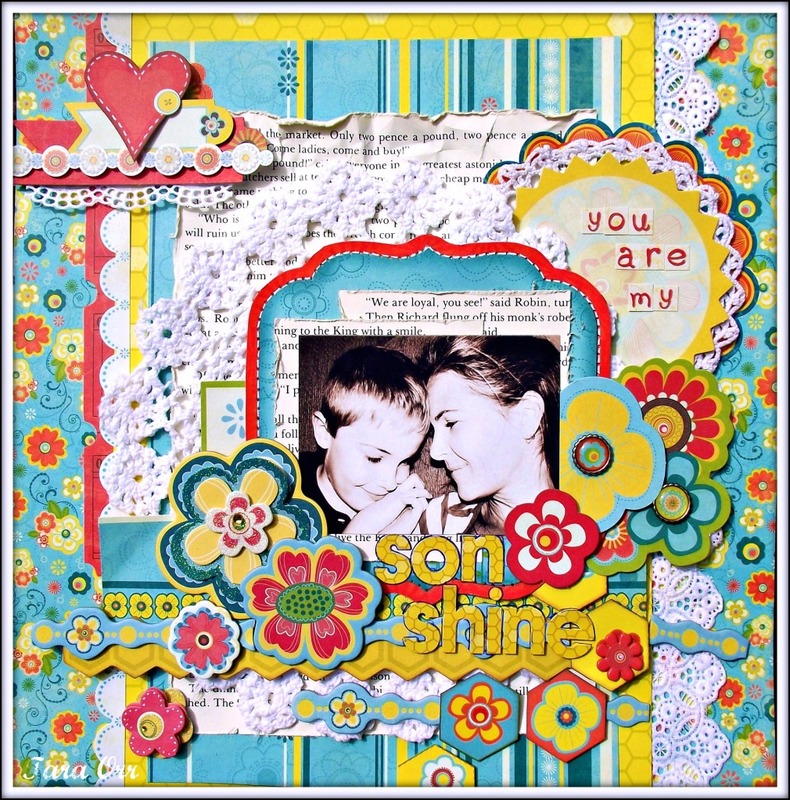 Jolanda says: "I love to cluster my embellishments . I also have made a cluster off my pictures." TIP: When making clusters, use repetition. If you are using a circular item, use other circular items throughout the layout. 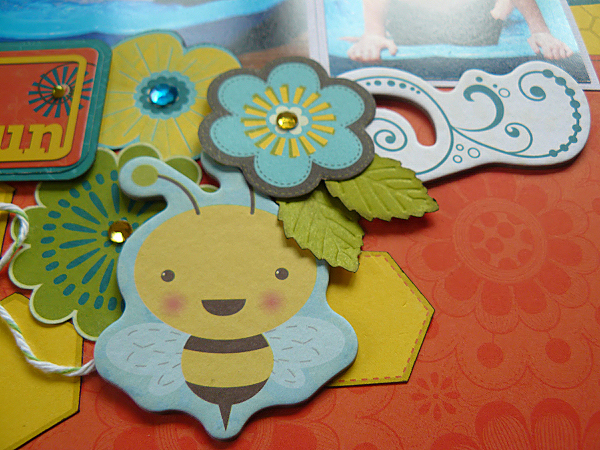 In this layout, Tara has used flowers for her repeating element. but once you get it... it's so addicting. Make sure to layer, lift, tuck and repeat and you'll be great!!! Don't forget to show us your version of clustering. 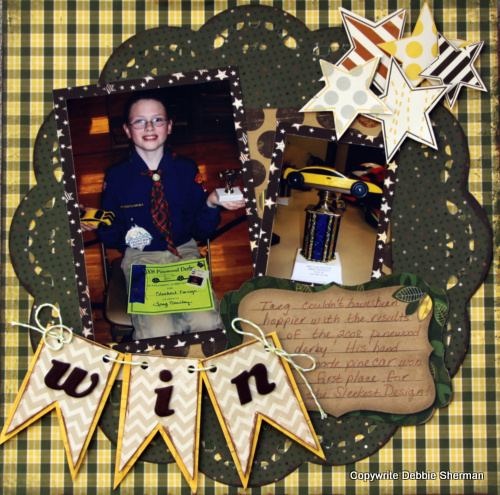 Love the projects...I think the one with 3 photos on each other is pretty cool! Love the layouts!! I'm big on clustering!! a big fan!! I loveeeeeeee clustering and LOVING what the DT created!!! Absolutely BEAUTIFUL!!! So inspiring!!! I love to cluster!! These are some great ideas and I love that diagram!! nice job ladies! and thanks for the tips. 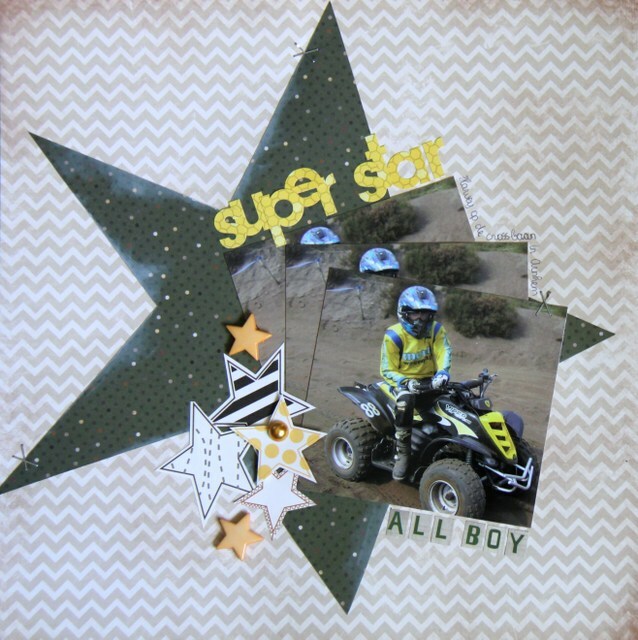 Love the "son shine" layout. 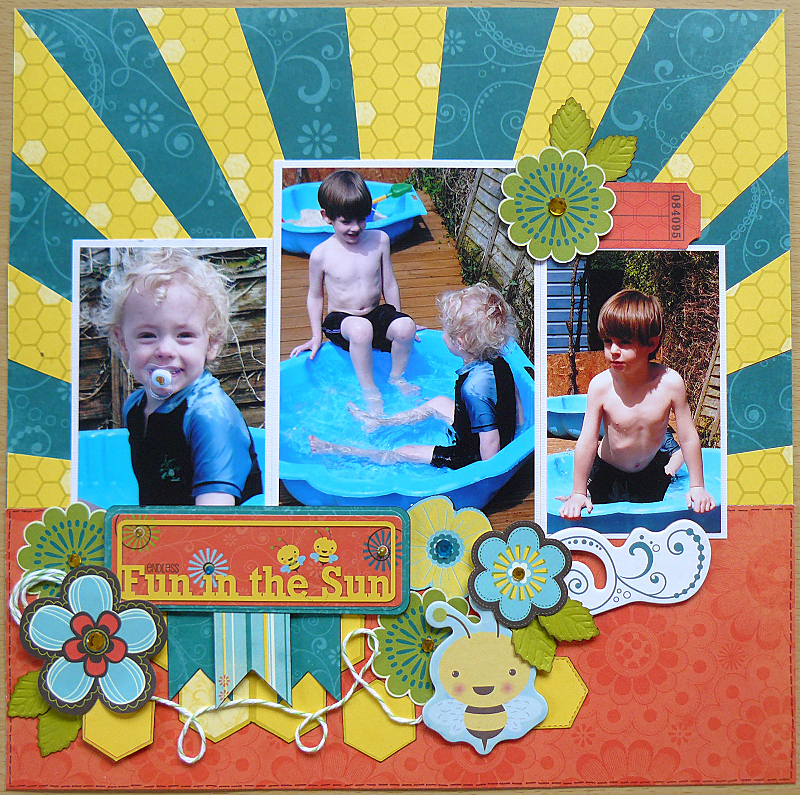 Your layouts today are so cute and fun and I loved the tutorial on making the sun rays, Thanks for the measurements,. Great job. I'm always looking for tips and tricks. 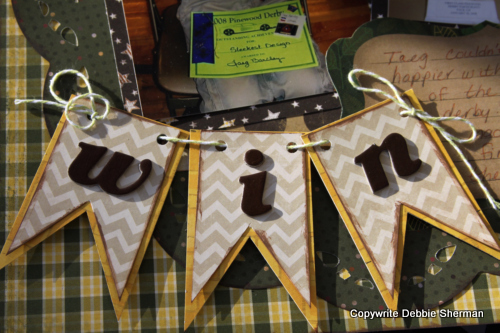 When I use embellishments, I want them to be visible. 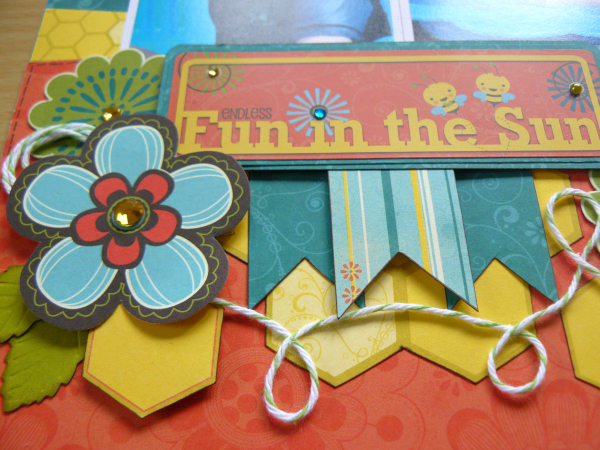 So I find clustering a hard thing to do, as it hides some part of the embellishments. With these examples (especially the ones by Tara and Carin) clustering is on my agenda as something I WILL get the hang of it. Fabulous Job girls. Love them all.